The rail industry could be completely renationalised within five years if Labour wins the next election, the shadow chancellor has suggested. John McDonnell said he was looking at whether break clauses in contracts could allow rail franchises to be taken into public hands before they expired. He is planning to create a new unit in the Treasury to oversee the party's wider nationalisation plans. It would advise on issues such as possible compensation for shareholders. Mr McDonnell was asked about the party's nationalisation plans in an interview with BBC Radio 4's Today programme ahead of Labour's annual conference in Liverpool. Reality Check: What does nationalising the railways mean? The party's 2017 manifesto included a pledge to bring private rail companies back into public ownership as their franchises expired. However, some franchises are set to continue for many years and the party has said it could use break clauses in contracts to take control sooner. There are currently 18 franchises in England, Scotland and Wales. With the odd exception, the shortest contracts run for seven years, although 10 years is more common. Northern Ireland's rail system has remained nationalised since 1948. 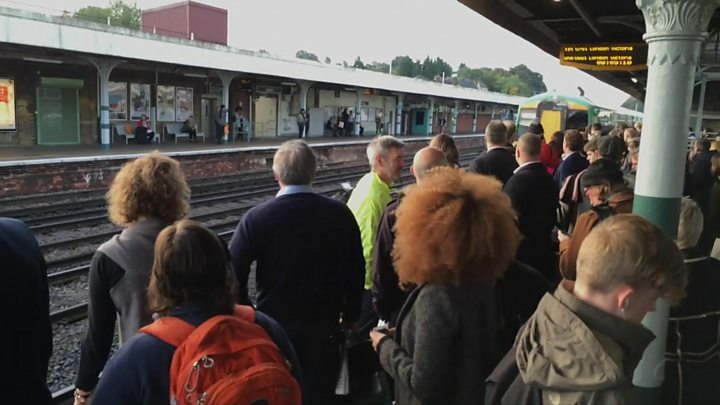 The train operating companies are not responsible for track maintenance, which falls to publicly owned Network Rail. Media captionIs nationalisation the answer for Britain's railways? Asked whether it was possible all the franchises could be in public hands in the first term of a Labour government Mr McDonnell added: "I think that's possible. That's why we're working through the detail now of how that can be done. "And if you look at what's happened over time a number of these franchises have been handed back anyway." His broader plan is for Labour to establish a Public Ownership Unit to develop legal and financial plans to bring private industries into the state sector, and set out a timetable for action. It would advise on how much compensation shareholders would receive and help decide which Private Finance Initiatives (PFIs) should be nationalised. Labour is keen to present itself as ready for office in the event of an early general election. Mr McDonnell said: "We will have new structures of government. "I'll be ready on day one going into government to be able to bring forward the legislation, to implement the policy." Mr McDonnell argued his plans were cost neutral because the cash generated by newly acquired private companies would cover the cost of financing the debt needed to buy them. There would be enough money left over, he said, to increase investment and reduce consumers' bills. But he declined to say how much extra borrowing would be required to purchase private assets. Shareholders in private companies would receive bonds - government debt - in return for their shares. The new Treasury unit would advise what level of compensation they were due, with the final decision made by Parliament. What is PFI and how prevalent is it? PFI is a way of financing investment in public infrastructure using private capital. Private firms stump up the cost of building facilities - such as a hospital or school - and, in return, the state makes payments over a period of time - often about 25 years - for their use and management. The model has been attractive to governments of all political persuasions as it limits upfront capital expenditure and reduces risk while future payment obligations do not count towards the national debt. However, its value for money has long been questioned. As of March 2016 there were 716 PFI projects, 686 of which were still operational. The others had either been cancelled or had reached the end of the contract period. The SNP government stopped new PFI contracts when it came to power in Scotland, replacing them with NPDs (non-profit distributing projects). Labour intends to take control of PFIs by nationalising Special Purpose Vehicles - the companies established to run them. 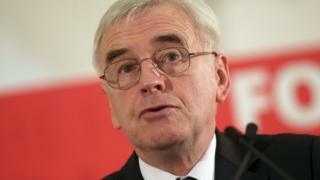 Typically, investors would be compensated and Labour would follow legal advice, Mr McDonnell said. But he added: "There might be some factors in relation to some operations of PFIs in particular that could be brought forward that says actually there is no compensatory arrangements needed here." The party's annual conference - staged under the slogan "Rebuilding Britain, for the many, not the few" - is due to begin in Liverpool on Sunday, with the party pledging to "put equality centre stage". It will close on Wednesday with a major speech by Labour leader Jeremy Corbyn, who is coming under pressure to back a referendum on the final Brexit deal - he has so far insisted he wants to see a general election instead. Labour's National Executive Committee (NEC) is due to meet later on Saturday, the day before the main conference begins, to discuss changes to leadership election rules.